More than 100 French horn players from all over the Pacific Northwest will descend on Ellensburg April 15-17 for the 2016 Northwest Horn Symposium. Professional performers, teachers, university and high school students, and avid enthusiasts will enjoy concerts, master classes, and clinics featuring world-renowned guest artists of the French horn. 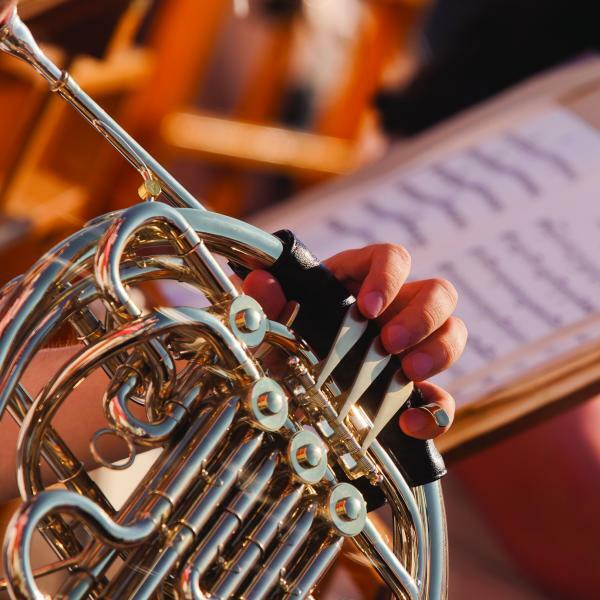 The general public will be able to enjoy the rich sound of the horn at four distinctly different concerts, at 7:00 p.m. April 15; 1:00 p.m., April 16; 7:00 p.m., April 16; and the Gala Concert at 3:00 p.m. April 17. All events will be held in the McIntyre Music Building; parking in CWU lots is free after 4:30 p.m. and on weekends, except in specially marked spaces and in residence hall lots. In addition to these concert offerings, there will be a very special appearance by Adam Wolf and the Rock Horn Project, at 9:00 p.m. on April 16. The Rock Horn Project is a rock/classical/pop/jazz/metal fusion ensemble, using the horn as a solo instrument, with electric guitar and bass, drums, piano and string quartet. The symposium features guest artists Gail Williams, professor at Northwestern University and a unique and gifted musician; Paul Basler, professor at the University of Florida and prolific composer for the horn; and Lowell Shaw, revered composer of music to generations of French horn players. The symposium will cover everything from technique to technology and horns past, present, and future. For example, at 11:00 a.m. on Saturday, in “Talking to the Cows: The Life of an Alphorn Player,” musicians Cynthia Hutton and Mark Eliot Jacobs of Southern Oregon University, will take the audience on a journey from the pasture to the concert hall. At 2:45 p.m. on Sunday, there will be a special performance that features a violin-horn duo with computer-realized surround-sound, by Ewa Trębacz, with Josiah Boothby on horn and Ewa Trębacz on violin. Boothby and Trębacz improvised several musical phrases, which were recorded in a full surround-sound technology called ambisonics. These materials were later used to create series of soundscapes. The live performance will create a dialog with those soundscapes. Horn ensembles from CWU, Oregon State University and Utah Valley University will be performing as well. For more information about this symposium and its events, contact symposium host and organizer Jeffrey Snedeker at 509-963-1226, or go to www.cwu.edu/music/2016-northwest-horn-symposium. Snedeker is the associate chair of the Music Department and professor of horn at Central Washington University. He has received recognition for his teaching, scholarship, and service, including 2012 Washington Music Educators Association Higher Education Music Educator of the Year, 2012 CWU Distinguished University Faculty for Service, and the 2014 National Phi Kappa Phi Artist Award.